Celebrate your winning season or say Thank You to your favorite hockey coach for a job well done with one of these Hockey Personalized Wood Picture Frames. 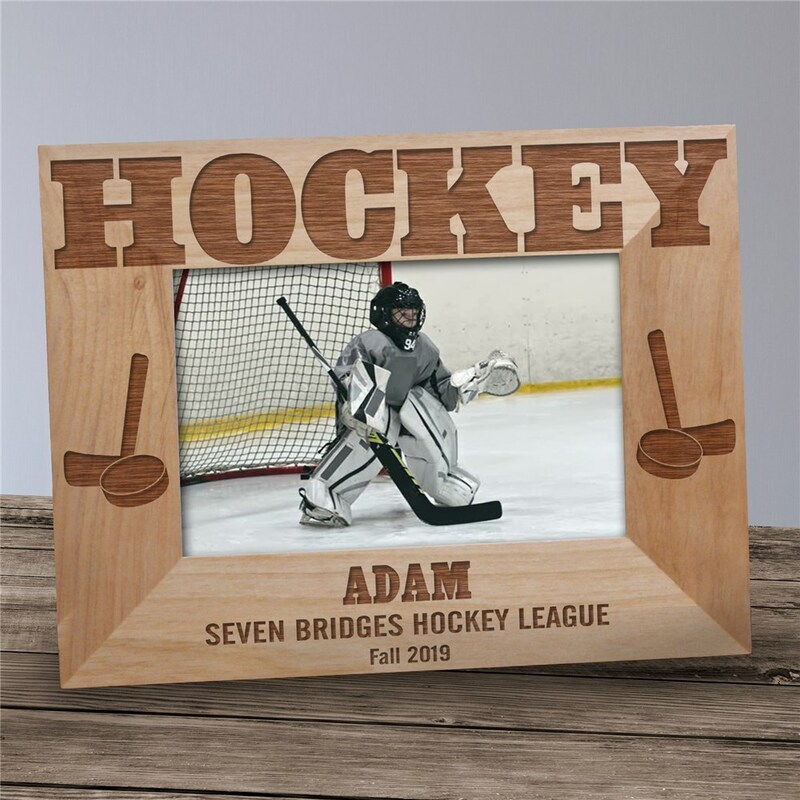 A picture of your hockey team or favorite player is sure to look great sitting inside these Hockey Personalized Wooden Picture Frames. A Lord Stanley Favorite! Your Personalized Hockey Wooden Picture Frame comes in three sizes, please choose from, 4"x6", 5"x7" and 8"x10". Each Personalized Hockey Frame includes an easel back allows for desk display. Engraved Hockey gifts include FREE Personalization! Personalize your Hockey Picture Frame with any name, and two line custom message. Very nice. Loved the personalisation!